How do I pay the costs of probate litigation or trust litigation? If you want to challenge a will or trust or want to remove an executor or trustee then you have two options. You can hire a probate or trust litigator on an hourly basis or on a contingency fee. Is there a way to pay for probate litigation or trust litigation if I can’t afford to hire my own attorney? Maybe. Some cases are a good fit for a contingency fee agreement. A contingency fee agreement allows you to hire an attorney without paying anything out of pocket. 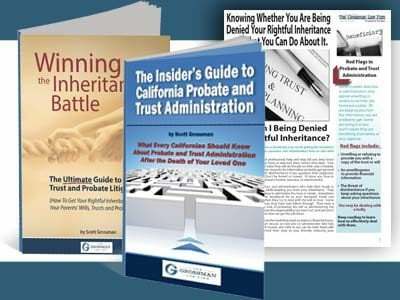 Every probate or trust lawsuit has its own unique set of facts and circumstances and you may be better suited to either hourly billing or contingency fee arrangements dependent upon them. 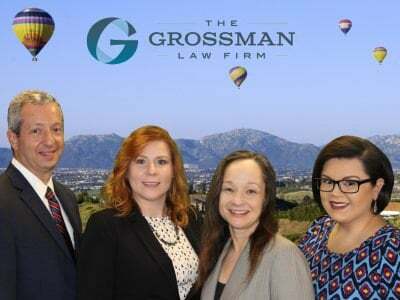 Contact our offices today for a case evaluation. Say I request a copy of my parent’s trust. Who pays when I have to sue the trustee to give me a copy of my parent’s trust? The trustee pays if you do it right. They will be held liable if they don’t send you the copy you requested. Read here for more information. Interested in learning more about possibly avoiding having to pay the contingency costs of San Diego estate litigation up front? View here for more. Trustees who engage in wrongdoing may be denied their fees by a California court. 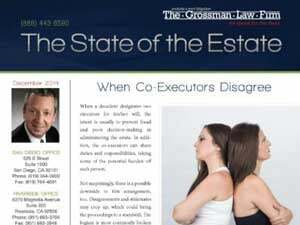 View here for more from a probate attorney in San Diego. Considering pursuing a lawsuit relating to the administration of a trust? View here for more about lawsuit costs from a Riverside trust litigation attorney. Trustees who are also serving as the attorney for a trust are subject to restrictions. See this page for more from a San Diego trust litigation attorney.